Tony Blair rolls his eyes at Whitehall. The British would certainly not say outright that Tony Blair governed like a Canadian prime minister, because it would be beneath the Mother Country to acknowledge one of her former Crown colonies as having provided an example in government. 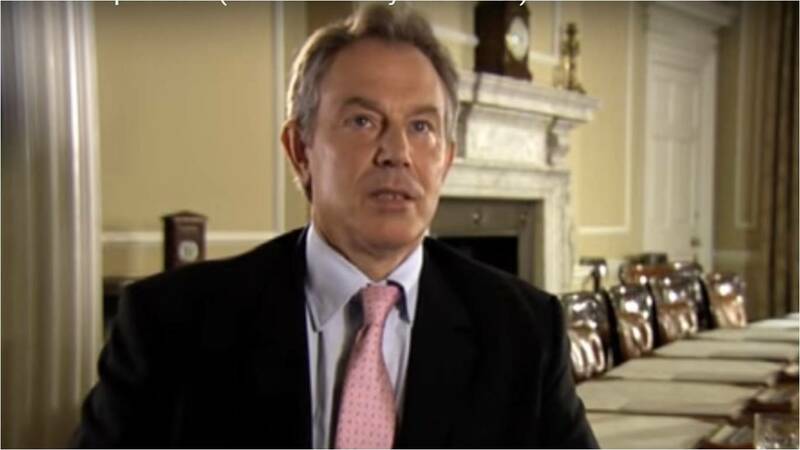 But that is the best conclusion that one could draw from this BBC documentary on Blair’s premiership, which aired in 2007 shortly after his departure from Number 10. Blair operated like a Canadian Prime Minister — like Trudeau I, Chretien, or Harper, in particular — and exercised his authority to “call consensus,” i.e., to make a decision against a majority of his colleagues, if necessary. The documentary cites his decision to allocate $800 million pounds to the Millennium Dome as one such example. Tony Blair and Gordon Brown alone also decided to transfer the authority to set interest rates from the Treasury to the Bank of England bilaterally, without consulting their cabinet colleagues. Critics derided Blair’s style as “sofa government,” because he would often make decisions with small groups of ministers, or bilaterally with one minister, or unilaterally while sitting on a sofa in a small office. His Chief of Staff, Jonathan Powell, and his Press Secretary, Alaister Campbell, would often take part in such meetings as well. Powell’s and Campbell’s attendance of full cabinet meetings also caused a row. So, too, did the order-in-council empowering Powell and Campbell to issue instructions to other ministers. Nevertheless, most of these criticisms of Tony Blair’s “sofa government” and Blair’s use of cabinet as “rubber stamp,” and Blair’s use smaller groups with cabinet (i.e., a cabinet committee) to do the real work, sound remarkably like how our system of government works in practice here in Canada. Pierre Trudeau, Jean Chretien, or Stephen Harper could have said the same. This entry was posted in Crown (Powers and Office). Bookmark the permalink.